NEW! Clean Natural Organic Deodorant. 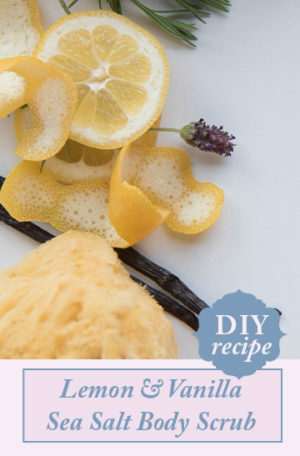 Organic, Natural Deodorant. 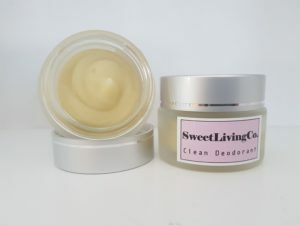 – Sweet Living Co.
100% Natural, Aluminium-free, organic cream deodorant. 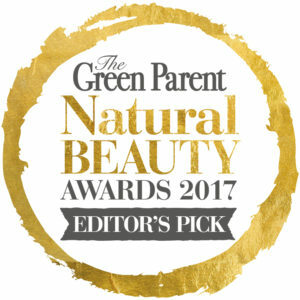 As seen in The Green Parent, Red Online, YOU Magazine, Vegetarian Living and Pebble Magazine (UK)! 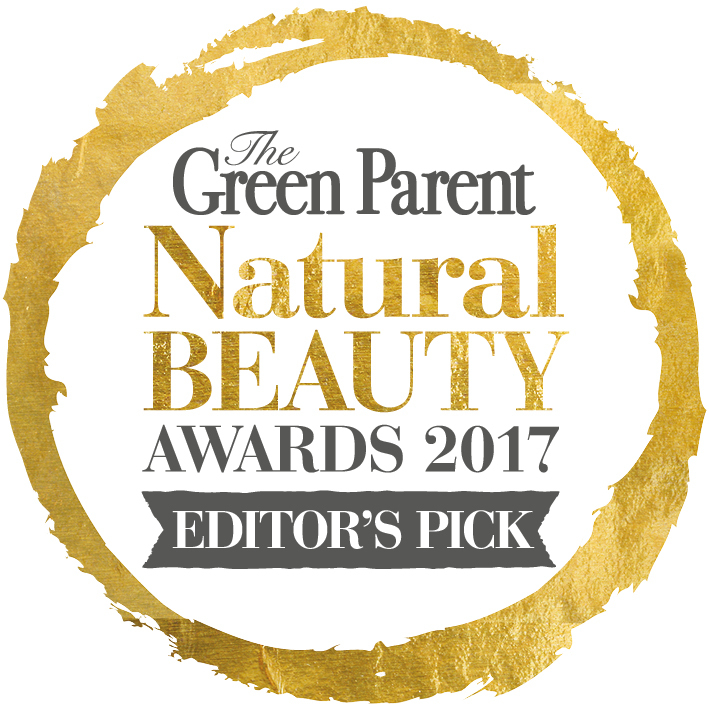 Our award-winning Deodorant cream moisturises and soothes delicate skin, while providing all-day odour protection. Invigorating essential oils of Lavender, Rosemary, Lemongrass and Peppermint combine in this natural odour-killing formula. Stay fresh with our clever blend of organic botanicals, powerful essential oils, Kaolin Clay and Arrowroot powder. Organic. 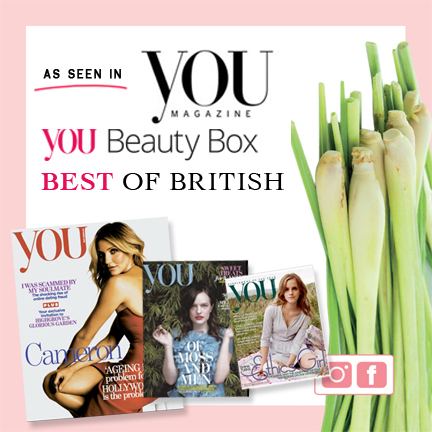 As seen in YOU Magazine’s Best of British Shortlist, YOU Beauty Box UK and Vegetarian Living UK. Please Note: 1) This product provides all-day odour protection without interfering with the body’s natural detoxification process. This is not an antiperspirant, and won’t stop perspiration. However, our formula does contain superfine Arrowroot powder and British Kaolin, which help absorb natural perspiration for a cleaner, drier feeling. 2) Although Sodium Bicarbonate (Baking Soda) is a harmless and extremely useful mineral, a very small percentage of people may find it irritating. If you experience any redness or irritation, please discontinue use. If you have very sensitive skin, please do a test patch on your wrist for 2 days prior to use. This is very powerful oil. It is said to have analgesic, antibacterial, anti-fungal, anti-infectious, anti-inflammatory, and antioxidant properties. It may also help to boost memory, assist in learning, and provide better insight. 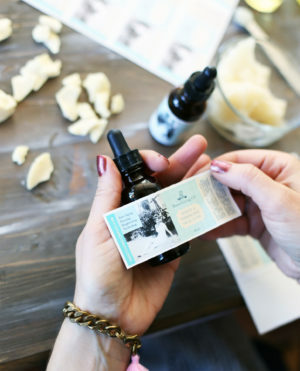 This oil is best used topically (diluted). Lemongrass may help the body detoxify by assisting various organs cleanse and flush harmful toxic wastes out of the body. 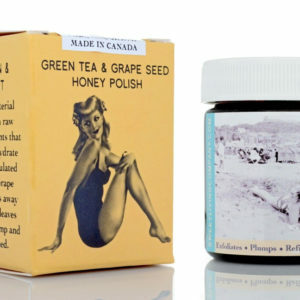 It is also said to have powerful antibacterial and antiseptic properties. Aroma: Bright, Citrus, Light floral, Herbaceous. Please note this product has strong aromatic properties. 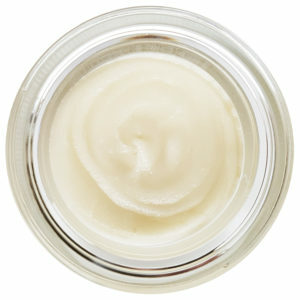 Texture: Easily-spreadable, rich, balm-like texture. Slight graininess that dissolves on application. Please Note: 1) This product provides all-day odour protection without interfering with the body’s natural detoxification process. This is not an antiperspirant, and won’t stop perspiration. However, our formula does contain superfine Arrowroot powder and British Kaolin, which help absorb natural perspiration for a cleaner, drier feeling. 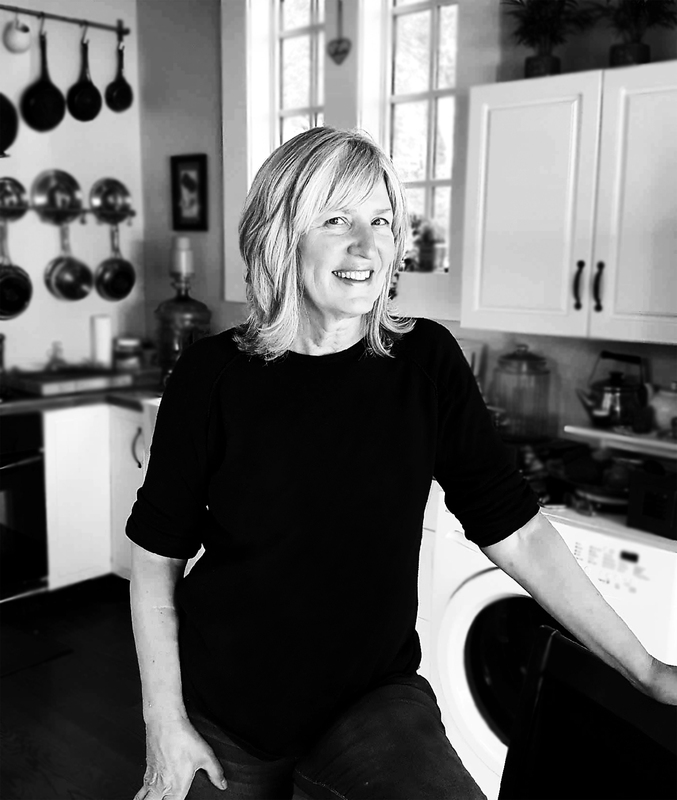 2) Although Sodium Bicarbonate (Baking Soda) is a harmless and extremely useful mineral, a very small percentage of people may find it irritating. If you experience any redness or irritation, please discontinue use. Sodium bicarbonate (Natural Mineral), *Olea europaea (Olive) Fruit Oil, *Cocos nucifera (Virgin Coconut) Oil, Maranta Arundinacea (Arrowroot) Root Powder, Cera alba (Untreated Beeswax), British Kaolin, *Lavandula angustifolia (Lavender) Leaf Oil, *Rosmarinus officinalis (Rosemary) Leaf Oil, *Mentha piperita (Peppermint) Leaf Oil, *Cymbopogon citratus (Lemongrass) Leaf Oil, +Geraniol, +Linalool, +Limonene, +Citral (*Certified Organic, +Naturally Occurring in Essential Oils). Geraniol, Limonene, Linalool, Citral (all naturally occurring in essential oils). Skin chemistry varies from person to person. 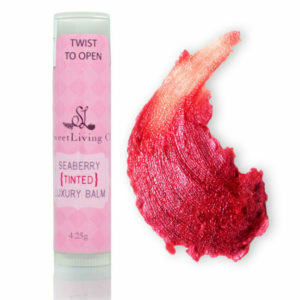 If you have a history of sensitive skin or allergic reactions, please test any skincare product you purchase on a small area inside your wrist for 2-3 days prior to using. 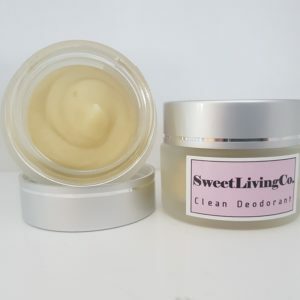 Although we use the purest natural ingredients, Sweet Living Co. cannot guarantee that customers will not experience adverse/allergic reactions, and cannot be held responsible should any occur. 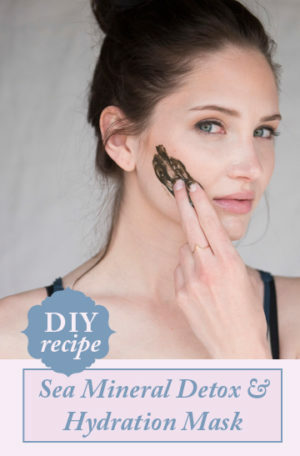 Apply a pea-sized amount to entire underarm area and rub in. Allow to absorb 1 minute prior to dressing. If shaving, wait at least 30 minutes prior to applying. 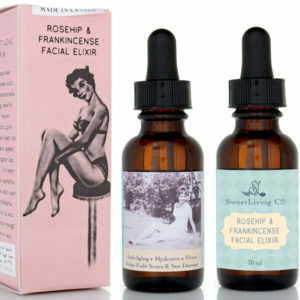 It is preferable to shave the night before if you have sensitive skin. Do not apply on broken or irritated skin. Store out of direct sunlight and use within 12 months of opening. Avoid contact with water in the jar. Avoid direct contact with eyes. For external use only. The BEST deodorant I have ever used. I love the smell, the feel and it works better than any I have ever used. It is so good my hubby steels it and uses it. It keeps him smelling clean and yummy from shower to shower so I don’t really mind. I’m buying him his own so I don’t have to share. This is a must have product.